If you are looking for Turkish rugs for sale, you are going to love all the choices that are available to you thanks to our ongoing Turkish rug sale. As you will see when you scroll through our Turkish rugs, we offer Turkish rugs cheap, which makes them affordable options for many home and business owners, as well as interior designers who are shopping for their budget-conscious clients. Given the variety of Turkish rugs in the marketplace, it is not enough to simply want a Turkish rug for your home or office. You have to put some thought into the kind of Turkish rug that will work best in the space you are decorating. Keep in mind that you do not necessarily need to put a Turkish rug on the floor. Certain rugs, including many Turkish Kilim rugs, resemble tapestries in both thickness and beauty, which make them ideal for hanging on the wall and using as sofa covers. As a general rule, there are two primary kinds of Turkish rugs: Kilim rugs and Hali rugs. A Turkish Kilim rug is flat-woven while Turkish Hali rugs are knotted. It is widely believed that the oldest Kilim rug originated in Çatalhöyük around 7,000 B.C. near the middle of Anatolia. 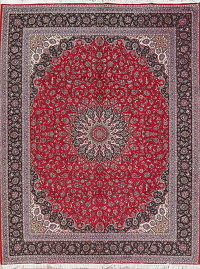 Many experts agree that Turkish tribes introduced Hali rugs to Anatolian inhabitants some time during the 12th century. These rugs are typically made using a prayer rug format. Some of the most prized Turkish Ladik rugs boast an eye-catching rose/burgundy color that was derived from dye made from beetles found in the West Indies. Yuruk rugs are noticeably loosely woven and often have a distinct, sometimes eccentric design. hese rugs are typically more conservative in terms of design compared to Yuruk rugs. Turkish Melas rugs normally have geometric designs that are simply captivating. These rugs normally come in either prayer rug or meditation rug format and are sought-after because they often have light- to mid-tones of green that are highly desirable. Bergama rugs usually show off designs that involve multiple medallions, which make them easy to identify. 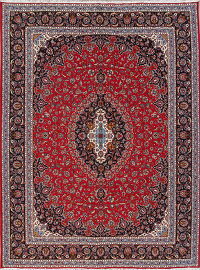 Turkish Mudjur rugs are usually the most formal option among Turkish town rugs. 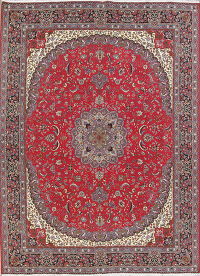 These rugs are often decorated with austere fields of red or fields that showcase a blossoming tree of life or a lantern. Turkish rugs are something you really have to experience to appreciate their full beauty and utility. With that in mind, we invite you to view our wide selection of Turkish rugs online now. 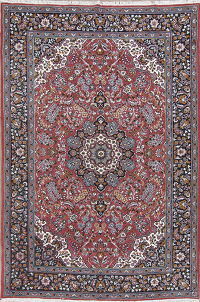 We also encourage you to contact us with any questions you have about the rugs we have for sale. If you need help making a selection, we’ll be thrilled to help you find a Turkish rug that reflects your personal tastes and lifestyle. Give us a call or send us an email today.